Royal Bank of Scotland (RBS) is powering its new Open Experience centre with Red Hat technologies, including the Red Hat Mobile Application Platform and OpenShift Enterprise, Red Hat’s web-scale container application platform. 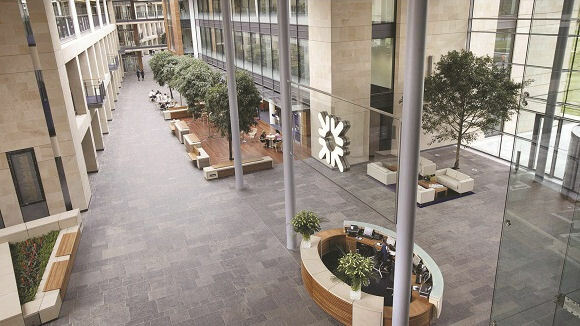 Open Experience was launched by RBS in February at its HQ in Edinburgh (UK) to pursue “innovative new technologies for the bank and its customers”. Using OpenShift, the bank’s Open Experience developers can develop, host, and scale applications in a cloud environment. The centre sits alongside the bank’s Entrepreneurial Spark business accelerator hub, which includes a “hatchery” for early stage start-ups and a “nest” for “high growth” businesses, giving the accelerator’s participants access to Open Experience’s technologies and innovations. Since it launched in 2011, the Entrepreneurial Spark accelerator has supported more than 660 businesses. Red Hat says RBS “anticipates expanding its relationship” with the US-based firm to bring additional open source technologies to Open Experience in the future. There has been a wide range of activity for RBS so far this year. It is supporting US firm RocketSpace with plans to open a campus in London, designed specifically for “high-growth” tech start-ups. The campus will initially hold up to 1,500 members at its opening in early 2017. However, RBS is likely to miss the set deadline to spin off its Williams & Glyn’s (W&G) subsidiary – and technology issues are to blame. W&G has been dormant for a few decades (RBS absorbed it in the mid-1980s). It was originally set to be revived and re-launched in 2015 by RBS. In light of the rise of digital banking, RBS is cutting almost 600 jobs in its UK retail bank. RBS will axe about 200 positions across London and the south east of England, with 400 jobs to go in the Midlands, east and the north of the country. While 600 humans will go, the bank installed advanced “human” artificial intelligence (AI) to help its staff answer customer queries. The bank says a two month trial was “successful “and the AI, known as ‘Luvo’, is to be rolled out more widely to support employees. Just after this story was published, it was revealed that RBS is cutting 200 more jobs in the UK. The latest round of job cuts follows the announcement last month that 600 jobs were to go in the UK. Santander, Royal Bank of Scotland, and HSBC supporting the Wales-based tech supplier. The bug is now fixed. Global interoperability of real-time payments systems will require harmonisation of market practices and standards. A group of international clearing houses, banks, vendors, payments associations and other parties have proposed setting up an activity to look at how to deliver this under the aegis of the International Standards Organisation – and set an ambitious target of collating an initial variant of ISO 20022 usage guidelines for real-time payments before the summer. Invests £2 million via its new digital Bó bank.